Each Stairway Tutorial is a series of articles that help you build the necessary skills you need to be an exceptional DBA. This is an on-going project, and expect to see additional Stairway Tutorials in the near future. 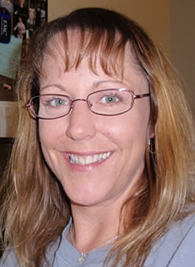 Tracy Hamlin (Twitter) has been voted as the 2010 Exceptional DBA of the Year by the SQL Server community. The annual awards program, hosted by SQL Server Central and sponsored by Red Gate Software, drew the largest number of community votes in its three-year history. Tracy receives a trophy, full conference registration for the PASS Community Summit 2010 in Seattle, four nights’ accommodations, and $300 in travel expenses. Along with this year’s other finalists – John Burnette of Fidelity Information Services, Jonathan Kehayias of Tampa General Hospital, Ted Krueger of Pharmedium Services, Kevan Riley of Destinology, and Jorge Segarra of University Community Hospital – she receives a copy of Red Gate’s SQL Toolbelt. Red Gate Software has recently opened up its SQL Response v2 Early Release Program (EAP), and is inviting anyone who is interested to download the application, test it, and provide feedback. This is your opportunity to help SQL Response’s developers to create a great product that every DBA will want to use. SQLBits—The 7 Wonders of SQL Conference—will be held in York, England, September 30 through October 2, 2010. SQLBits is the largest SQL Server conference held in Europe, and this three-day event will be held at York University, allowing up to 500 SQL Server professionals to attend.